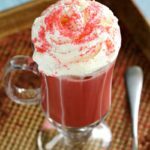 Fall and Christmas themed desserts could be fun and easy to make. We have a variety of them on our blog, among our popular once are Pumpkin Cheesecake Bars, Pumpkin Poke Cake and Sweet Potato Casserole. Chocolate Sugar Cookies are fun and perfect for holidays. 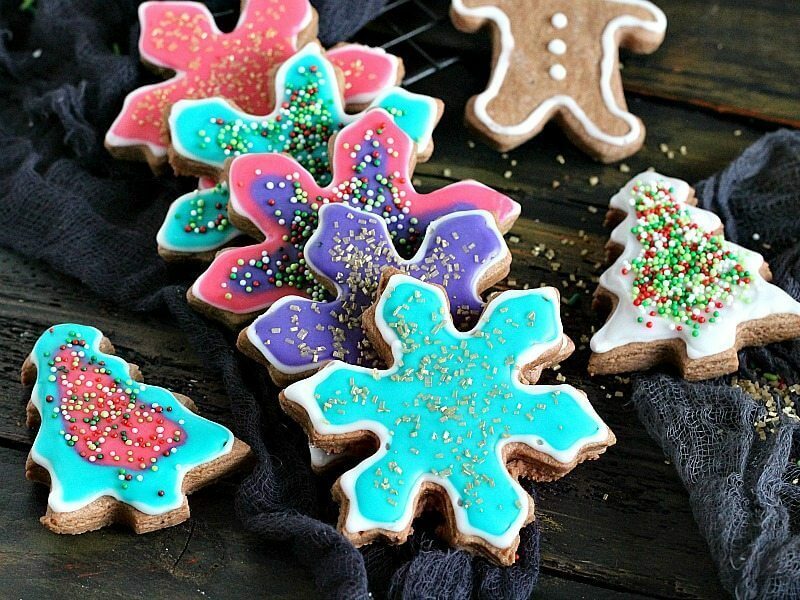 Not only they look festive and decorative, they are also delicious. We made snowflakes, Christmas trees and ginger men, minus the ginger since they had a great chocolaty flavor! Also, adding a few tablespoons of cocoa made these cookies extra special, and decadent with a prominent chocolate flavor. 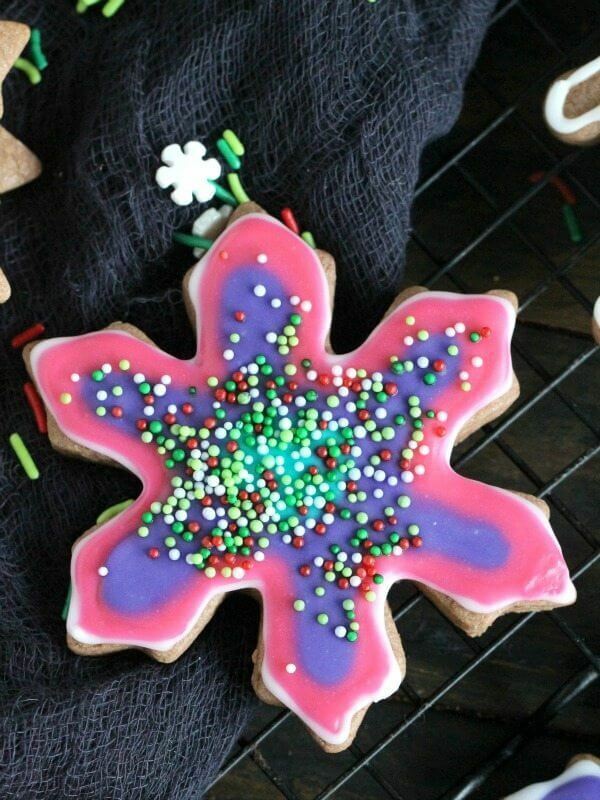 Neon Chocolate Sugar Cookies are so much fun to decorate. In addition, the colors pop up and put you in a great holiday mood. Decorating the cookies with my son this year was so much fun. He even helped with the baking and cutting part. We also hosted a Sugar Cookie party with his friends and it was a blast. We loved it so much that we want to make it an annual event. There was icing and sprinkles everywhere, but that’s the beauty of the holiday season! The kids and even the moms had so much fun. Therefore, I recommend you go ahead and try these, during the holiday season. First, they look pretty and are perfect for holidays. Also, can be fun project to do with kids. Can be made in variety of shapes and form, to fit various events. How long will Chocolate Sugar Cookies stay fresh? CAN YOU STORE AND Freeze Chocolate Sugar Cookies? Absolutely! First, cool the cookies completely and fully wrap it in plastic wrap, tightly. After that, wrap in aluminum foil. Freeze for up to 2-3 months. Defrost before serving. In a large bowl, whisk together flour, baking powder, cocoa powder and salt. Set aside. Cream the butter and sugar in the bowl of an electric stand mixer until light in color. Add the egg, vanilla bean seeds and heavy cream and beat to combine. Put mixer on low speed and gradually add the flour mixture, beat until mixture pulls away from the sides of the bowl. Make sure to scrape the sides of the bowl as needed using a rubber spatula. Divide the dough in half, wrap in plastic wrap, and refrigerate for 2 hours. Sprinkle your working surface with a little powdered sugar. Remove one wrapped pack of dough from the refrigerator, sprinkle rolling pin with powdered sugar, and roll out dough to 1/4-inch thick. 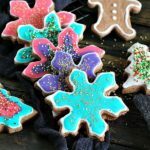 Cut into desired shapes and place at least 1-inch apart on a baking sheet covered with parchment paper and bake for 7 to 9 minutes or until cookies are just beginning to turn brown around the edges. Rotate cookie sheet halfway through baking time. Remove from oven and let cookies sit on the baking sheet for 2-3 minutes before transferring to a cooling rack. The cookies must cool completely before icing. In a medium bowl, whisk together powdered sugar, water, corn syrup and gel food color until combined and without any lumps. If the mixture is too thick (not pourable at all), add 1/2 tablespoon of water. If the mixture is too thin, add 1 more tablespoon of powdered sugar. Test the icing, drizzle a little on parchment paper, if it holds it shape the icing is done, if it starts to melt on the sides right away, the consistency is too thin. Using the same measurements create different bowls with different colors of icing. Pour the icing into squeeze bottles and have fun decorating. Leave cookies on the counter for 12-24 hours for the icing to settle completely. Once the icing is set the cookies can be packed, gifted and transported with ease. Edmond thank you for your enthusiasm, please make sure you enter the giveaway the right way, using the box above the recipe card, I wish you luck! Wow, you make some beautiful cookies! Thank you, make sure you enter the giveaway. Great cookies!! Hope this was how to enter the giveaway too. Hi Mary, thank you for your interest in the giveaway, you have to enter in the box above the recipe card, you can enter with ur Facebook account. You still have time, good luck. Can vanilla extract be substituted for the vanilla bean seeds? Hi Tara, yes you can, please use 1 teaspoon of vanilla extract. 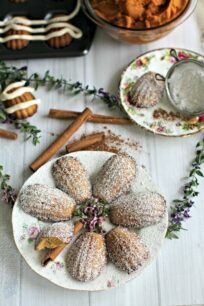 entered and we are going to try these, thinking tomorrow ! Kids need something to do special for holidays ! Good luck and I hope you love the cookies. We also had a cookie decorating party and the kids loved it. I bet Santa loves these. Less! Make sure you enter the giveaway! 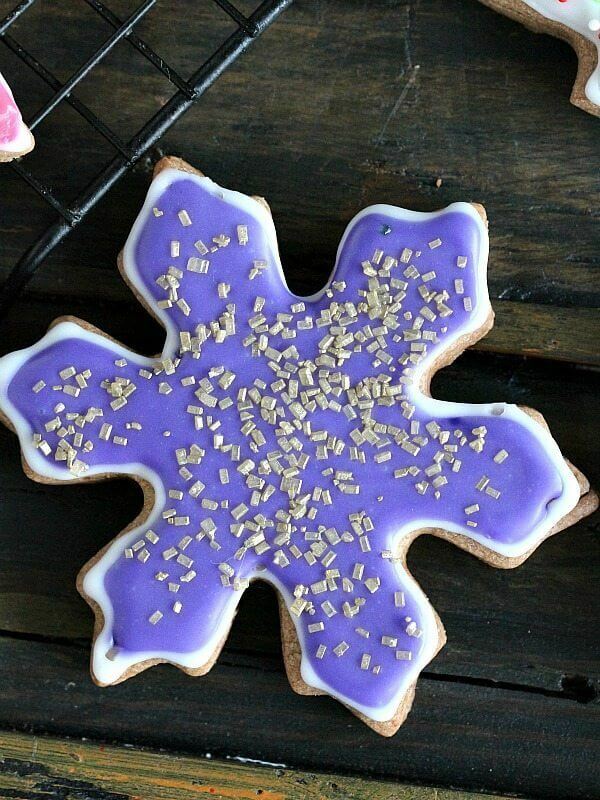 These are some of the most amazing sugar cookies I have ever seen. 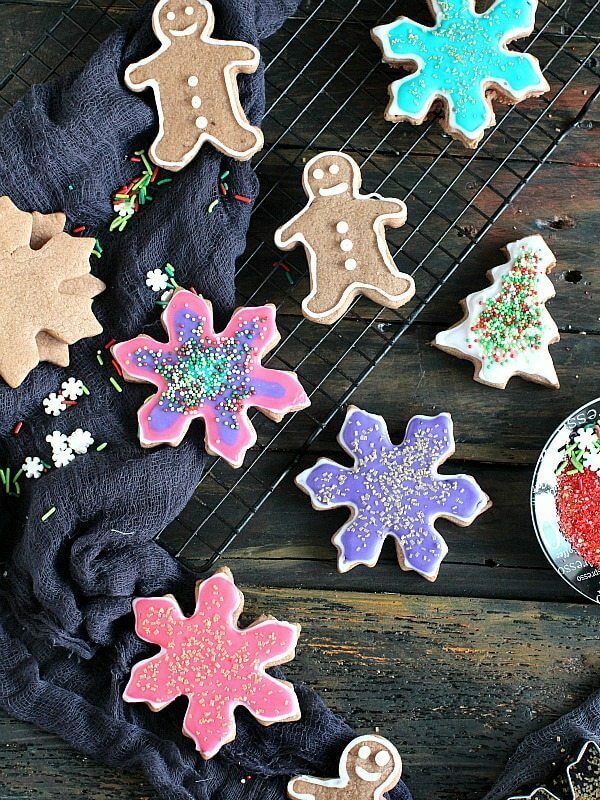 Such pretty colors in these and festive my family would love these and creative. They sure look absolutely amazing! 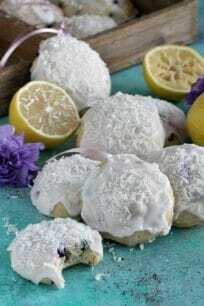 These are beautiful cookies! Love the colors, and the hint of chocolate in the cookies sounds delicious! A sugar cookie party?! That sounds SO fun! I’ll have to do that with my daughter this year! The colors on these cookies are awesome. So fun and not the usual ones! Chocolate makes everything better. Even sugar cookies. Your decorating skills are much better than mine but I am going to give these a try anyway! I think these will be my favorite cookies from now on! They are so festive and incredibly colorful – another great project that I can do with kids. Thank you! Oh so creative. Love how pretty this is. Perfect for the holidays and perfect to get the kids involved as well.